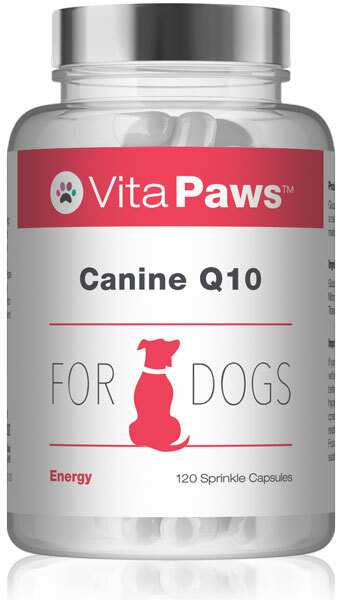 Co-Enzyme Q10 is needed for the proper utilisation of food energy and is also popularly chosen to support cardiovascular function in dogs. Coenzyme Q10 is a vitamin-like substance that is naturally found in the mitochondria of every cell in the body. It is often referred to as a spark plug that triggers cells to produce the energy that they need to survive. 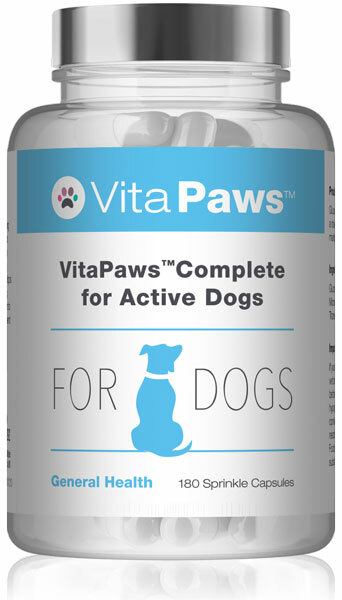 VitaPawsTM Canine Q10 is manufactured at GMP approved facilities in the UK to ensure that the highest standards of quality are consistently met. 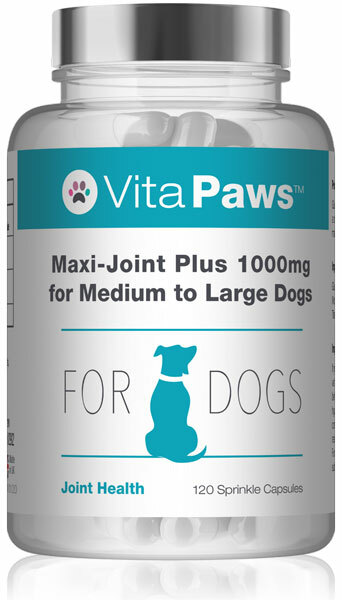 These Coenzyme Q10 30 mg capsules offer excellent value for money and are the ideal choice for owners looking to cover their dog’s need for this important nutrient. A range of conditions affecting the heart occur in dogs and are seen more frequently in certain breeds. 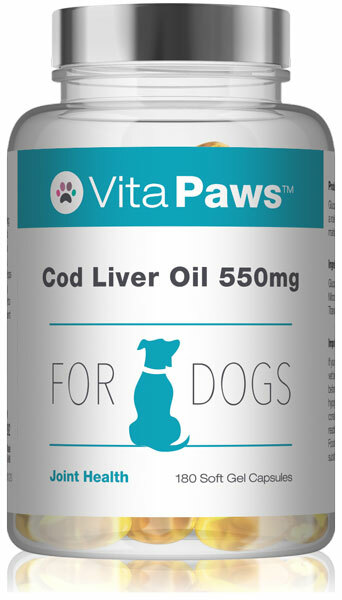 Coenzyme Q10 is popularly chosen to support normal cardiovascular function in dogs, and many owners feel that sooner is better than later when it comes to supplementing with Coenzyme Q10. Coenzyme Q10 is a vitamin-like substance that plays an important role in the production of cellular energy. The body is dependent on Coenzyme Q10 for the proper conversion of food energy into ATP, which is the form of energy that the cells can use. Tissue levels of coenzyme Q10 decline with age and supplements can help to increase its dietary intake. For animal use only. 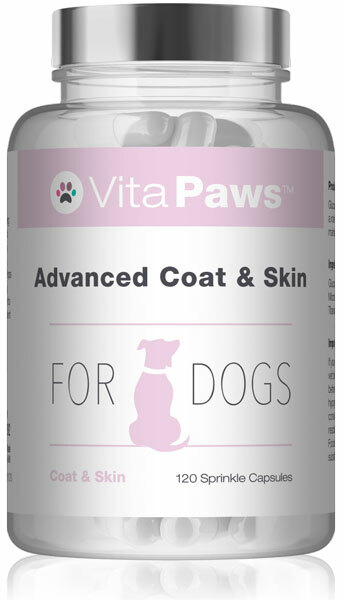 Consult a vet before using this product if your animal is pregnant, lactating, taking prescription medication or under medical supervision. Discontinue use if adverse reactions occur. Do not the exceed the recommended serving. Store in a cool, dry place. Keep away from children at all times. Do not use if seal under cap is broken. Not suitable for puppies/kittens.